Eden Organic Garbanzo Beans, 15oz. Eden Organic Kidney Beans, 15oz. Eden Organic Pinto Beans, 15 oz. Jovial Organic Crushed Tomatoes, 18.3oz. Farmer's Market Organic Pumpkin Puree, 16oz. 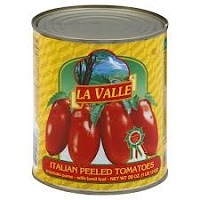 La Valle Chopped Tomatoes, 14 oz. La Valle Whole Peeled Tomatoes, 28oz. Muir Glen Organic Stewed Tomatoes, 14.5 oz. Muir Glen Organic Pizza Sauce, 15 oz. 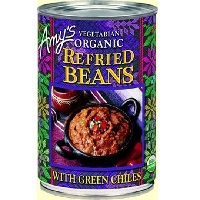 Amy's Organic Mild Refried Beans W/ Green Chile, 15.4 oz. 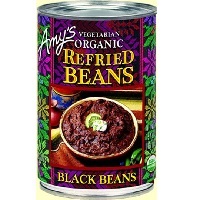 Amy's Organic Refried Black Beans, 15.4 oz. 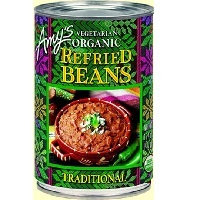 Amy's Organic Traditonal Refried Beans, 15.4 oz. Eden Organic Black Beans, 15oz. Eden Organic White Kidney Cannellini Beans, 15oz. La Valle Chopped Tomatoes, 28oz.